Large enough for 2 Sierra or bullet pens. 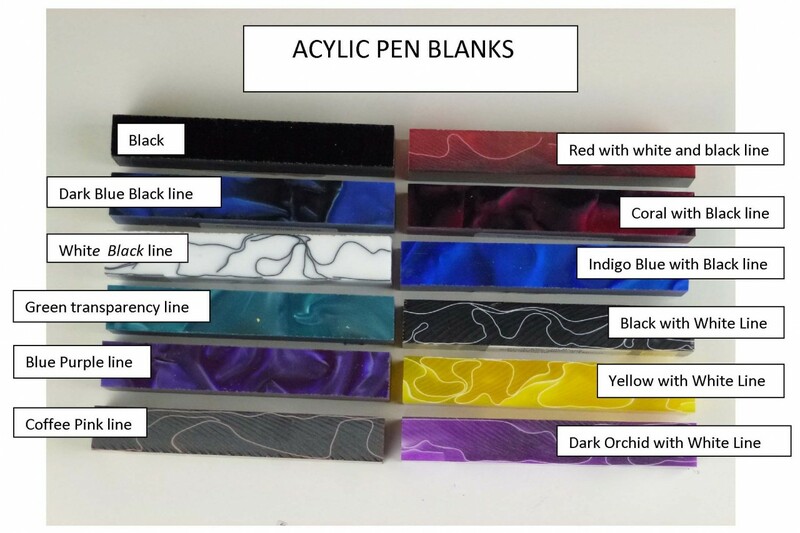 We carry a selection of Acrylic pen blanks. Suitable for pens, jewellery or turned components. These are always fun to use as you never know what the finished design will work out as. Turn as you would a timber pen blank. Sand through the grits to 1200 then cut with EEE. If extra shine is required add Shella wax and buff. Click the button below to add the Acrylic Pen Blanks to your wish list.